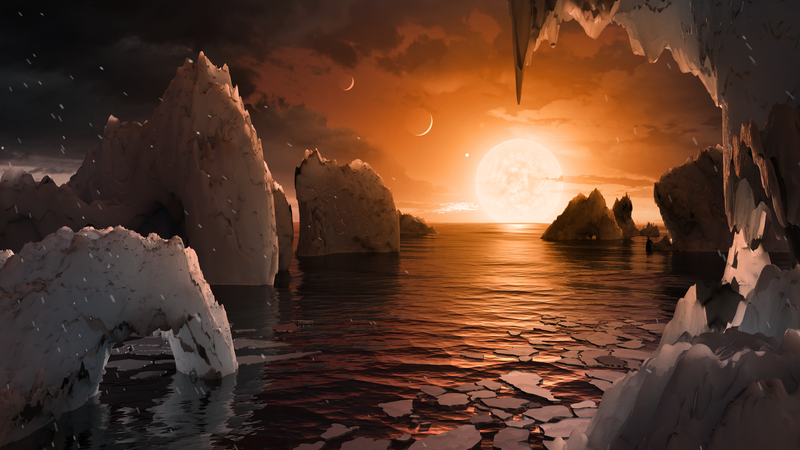 In case you missed them, check out my recent stories, from the search for life on distant worlds to clues of the collapse of civilizations on the bottom of the ocean. Thanks to my editors for helping these pieces turn out so well. Aliens could be hiding on almost any of the Milky Way’s roughly 100 billion planets, but so far, we haven’t been able to find them (dubious claims to the contrary notwithstanding). Part of the problem is that astronomers don’t know exactly where to look or what to look for. To have a chance of locating alien life-forms — which is like searching for a needle that may not exist in an infinitely large haystack — they’ll have to narrow the search. 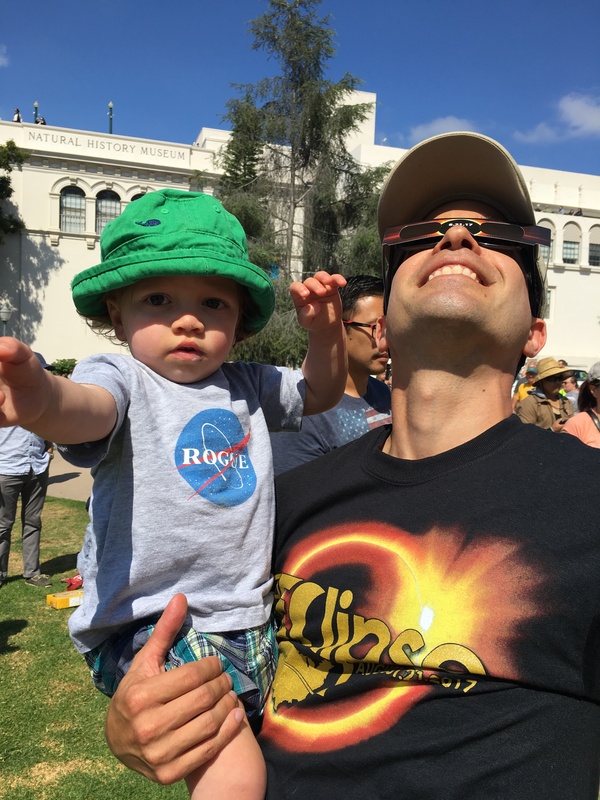 It was wonderful sharing the solar eclipse with my 15-month-year old kid! He won’t remember this, and he kept pulling the eclipse glasses off his face, but I think he enjoyed the experience. It may not be such a big deal to him, at least not yet, but it’s important to me. 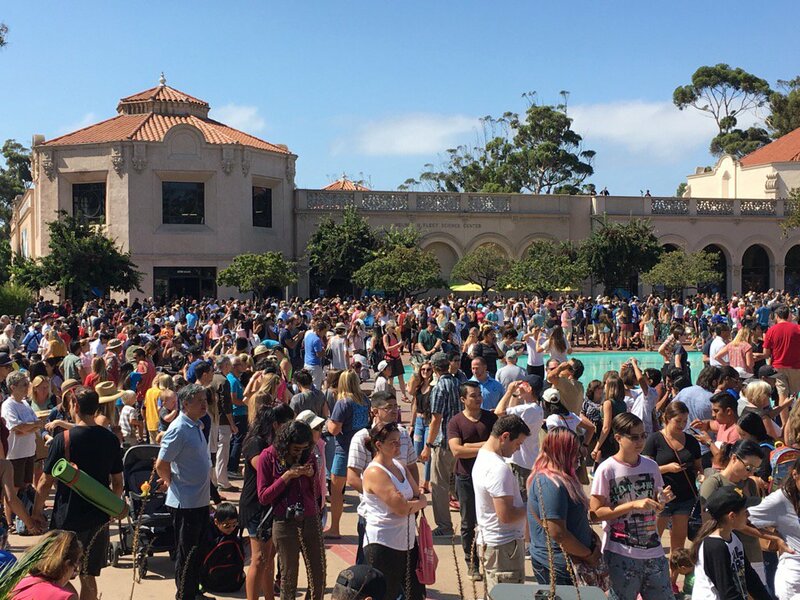 Thousands of San Diegans thronged to Balboa Park near the Fleet Science Center to enjoy the eclipse together. I was moved and impressed to see so many San Diegans enjoying even just the partial eclipse together. I saw thousands in just one part of Balboa Park, next to the Fleet Science Center and Natural History Museum, and I’m sure people flocked to other locations too, including the central library in town. We had our NASA-approved eyewear, which I was happy to pass around to those around me, and the marine layer burned off in time, giving us a perfect view of the whole thing. Eclipses are rare affairs, encouraging us to stop, quit squabbling about politics and our quotidian concerns, and just look up in the sky. (With proper eye protection, of course.) Such a cosmic event, a dance of the Earth, Moon, and Sun, really puts things in perspective. Let’s not forget what this moment feels like. We’re in this together, people. This is our planet, our one and only world, and it’s up to us humans to take care of it. 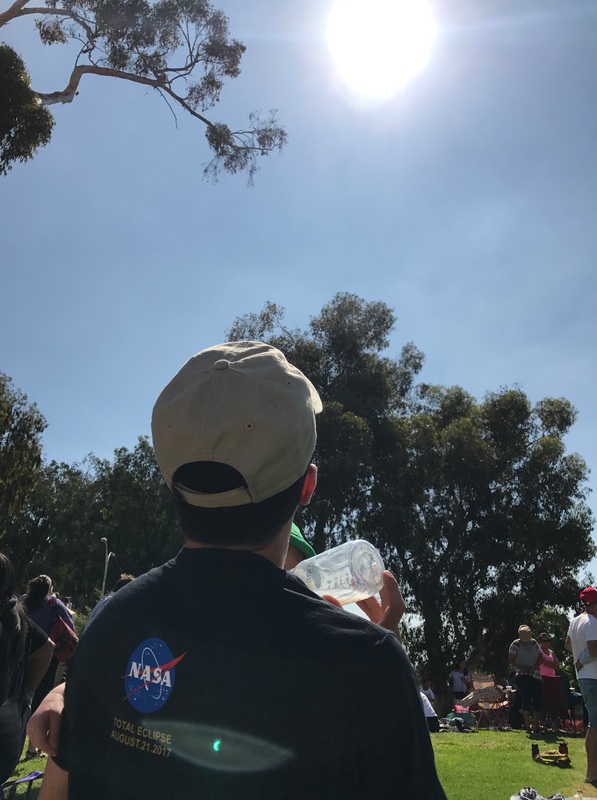 Had to feed my kid a bottle while I enjoyed the eclipse (which you can see a reflection of on the back of my shirt). I’m happy hearing everyone’s stories and reflections on the eclipse. Feel free to share your experiences on social media, in the comments below, or the old-fashioned way — in person. My partner and I are already planning to check out the 8 April 2024 solar eclipse, and this time we’ll do it right — in totality. My kid will be almost 8 then, or about four Martian years old. Maybe we’ll head to Mazatl&‌aacute;n, Mexico, to witness it on the edge of Aztec country.